Suggesting he might soon need to change his self-applied nickname to the far catchier “Mr. 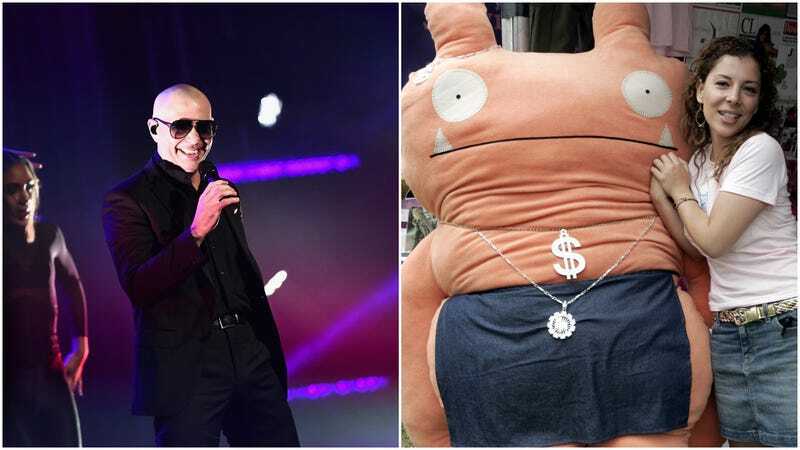 Worldwide-and-also-he voiced-some-weird-monster-dolls-in-a-Robert-Rodriguez-movie-once,” Deadline reports that rapper Pitbull has signed on for a leading roll in the upcoming Uglydolls movie. Based on the popular toyline of goofy looking cyclopes and other cutely monstrous beasts, the film appears to be the latest manifestation of the Spy Kids 3D side of its director’s gorehound/kid-friendly action romp soul. The Miami-based Pitbull isn’t just serving as a voice actor on the film, though; production company STX Entertainment is apparently attempting to make Uglydolls a multimedia Pitbull experience, expressing the hope that he’ll be involved in “every facet of the rollout across all company platforms—STXtv, STXdigital and STXsurreal VR.” (Do we dare to dream of a world where Virtual Pitbull is a thing?) Also—and in what should, in no way, be considered the latest installment of Pitbull’s lifelong attempt to be a slightly skeezier take on the accomplishments of Trolls star Justin Timberlake—he’ll also be writing and performing an original song for the film, out some time in 2019.